A local martial arts studio and kickboxing gym is offering free workout classes for moms all month long. 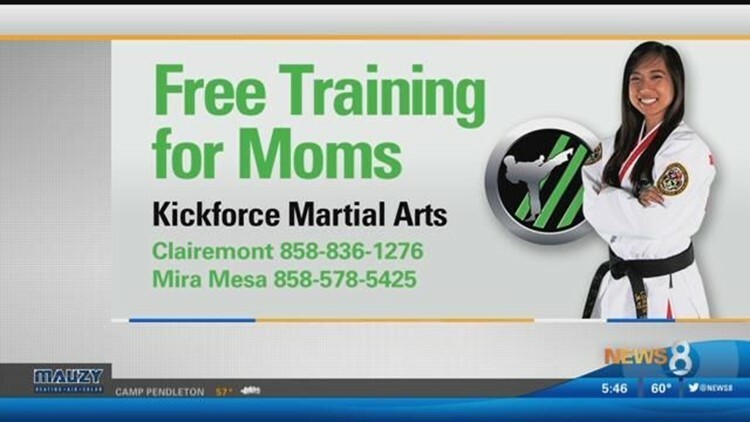 SAN DIEGO (NEWS 8) - A local martial arts studio and kickboxing gym is offering free workout classes for moms all month long. KickForce Martial Arts owner Carlos Aguilar tells News 8’s Ashley Jacobs that these types of exercises are great for women because they build muscle, confidence and teach self-defense techniques. Ashley drops into a morning class to see why moms are signing up.